This Rich Dense Chocolate Poke Cake is a chocolate lover’s dream come true! 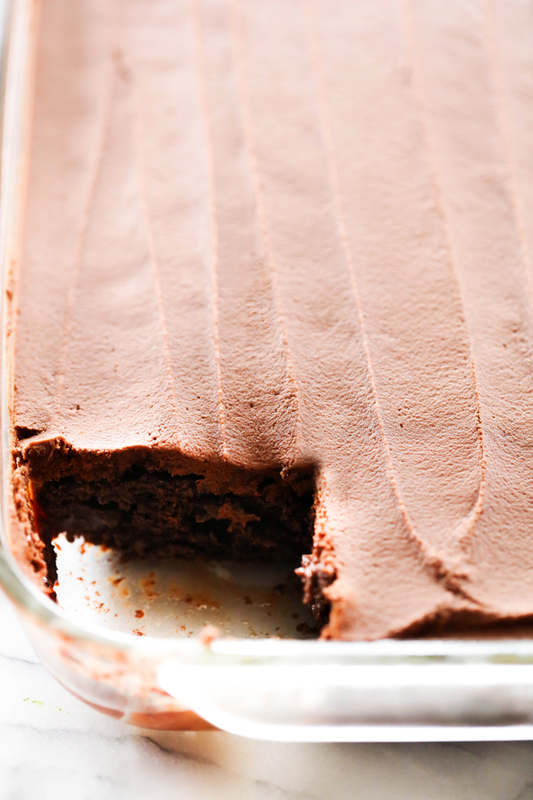 With gooey chocolate goodness infused into each bite of a chocolate cake and topped with a frosting that tastes like brownie batter it is truly a chocolate heaven! If you love chocolate, this is the cake for you! Chocolate is one of my love languages. It’s funny though, either from blogging, traveling and trying truly decadent chocolate desserts, or maybe it occurred sometime in or after pregnancy, I cannot, for the life of me, indulge in a candy bar like I used to. The chocolate tastes waxy or fake. With the exception of a Toblerone, I would most like to enjoy my chocolate in its fullest of forms, rich, dense and absolutely sinfully good. And a good chocolate cake is at the top of that list. I have a good homemade chocolate cake recipe I will share at some point on the blog, but today’s recipe begins with a box cake mix. Trust me though, the way this recipe is jazzed up, you won’t even be able to the base cake comes from a box! This is a poke cake. For those who don’t know what a poke cake is, let me explain. You bake a cake in a 9×13 inch baking pan, then once baked, proceed to poke holes, giant or small depending on your personal preference into the cake. You then make some kind of filling and pour it over the holes and let it seep into every inch of the cake creating a delicious, ooey gooey and dense cake in every bite. 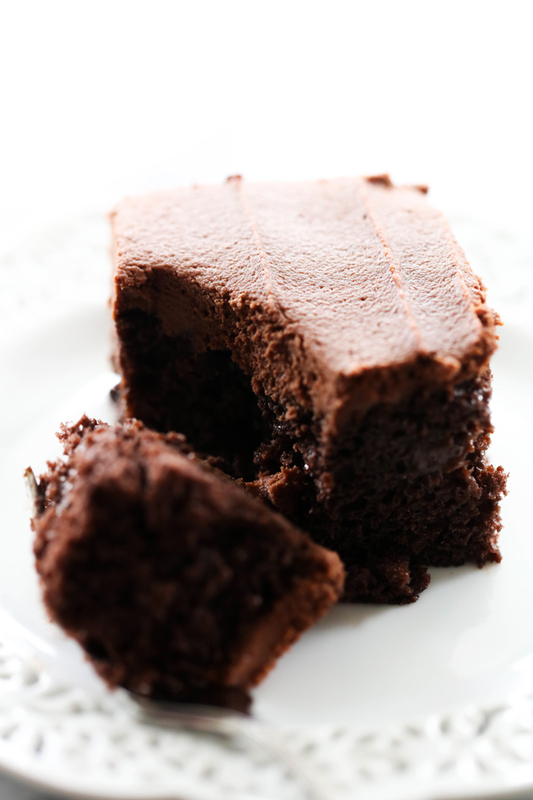 This particular cake is topped with an ever rich chocolate frosting that resembles brownie batter. Honestly, I am not a frosting person typically but this recipe has me licking the bowl. That is saying something! This Rich Dense Chocolate Poke Cake is a chocolate lover's dream come true! 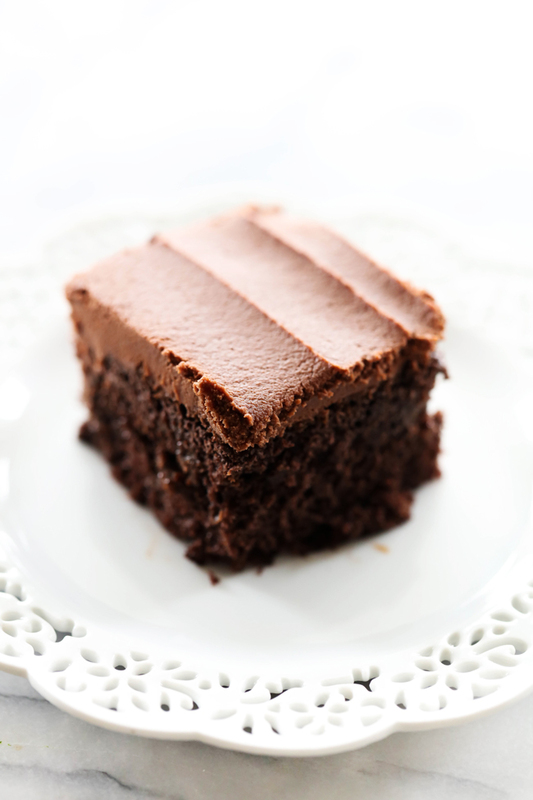 With gooey chocolate goodness infused into each bite of a chocolate cake and topped with a frosting that tastes like brownie batter it is truly a chocolate heaven! If you love chocolate, this is the cake for you! 1 chocolate fudge cake, prepared and baked in a 9x13 inch pan as directed on box. While the cake is baking, add sweetened condensed milk, heavy cream, and chocolate chips to a medium sauce pan and cook on medium heat until chips are melted and filling is smooth. When the cake comes out from the oven, using the end of a wooden spoon, poke holes into the cake to create deep pockets for the filling to go into. Pour filling evenly over warm cake. In a large mixing bowl, combine butter, cocoa, powdered sugar and beat on low until combined. Add heavy cream, vanilla, and salt. Beat until creamy and smooth. Frost cake and refrigerate until ready to serve.